MEGA HIT! 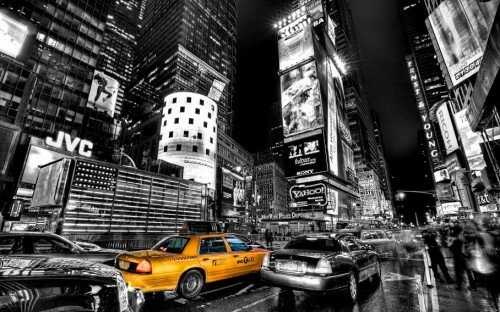 Cheap flights to New York for only €287! Here’s something spectacular for all fans of cheap flights. We now bring you exclusive offer on flights to USA for unbeatable price! You can now book return flights from Milan Malpensa to New York Newark for incredible €287! Why is this MEGA HIT? Simply because Milan is one of the easiest available airports in the whole Europe with tons of cheap flights from virtually any city in the Old continent. Travel dates are from October until December which makes it perfect for some pre-Christmas shopping. Flights are operated by Air Canada and Lufthansa so great service onboard is guaranteed. There is usually one stopover on the way to USA in Toronto, return flight is direct! Book only at AirFastTickets.de, this price is not available elsewhere! If you can’t finish the booking in German (try Google Translator) then you can use BudgetAir in English and book the flight for €342 which is still amazing price. Do you like this deal? Please share it on Facebook! « Cheap flights to beautiful Iran: Tehran for only €223!